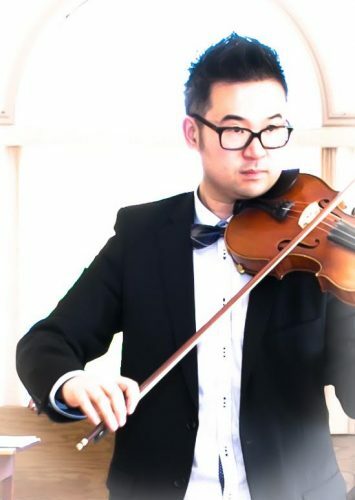 Peter holds a master’s Degree in Viola Performance from the University of British Columbia and is a registered Suzuki Violin/Viola Instructor with the Suzuki Association of Americas. His experience extends to teaching students from age of 3 years old to adults. His studio achievements ranges from being award winners at various music festivals, to being recipients of the Gold Medal Award from Royal Conservatory of Music for achieving the highest examination mark. Peter is the viola coach of the Surrey Youth Orchestra and is a regular coach with the Vancouver Youth Symphony Orchestra. Aside from teaching, Peter is also actively performing in the lower mainland and interior B.C. He has performed with groups such as the Vancouver Symphony Orchestra, Vancouver Island Symphony Orchestra, Kamloops Symphony and Vancouver Metropolitan Orchestra. He is also the founding member and violist of the Rose Gellert String Quartet, ensemble-in-residence at the Langley Community Music School, where he also serves on the violin/viola faculty.